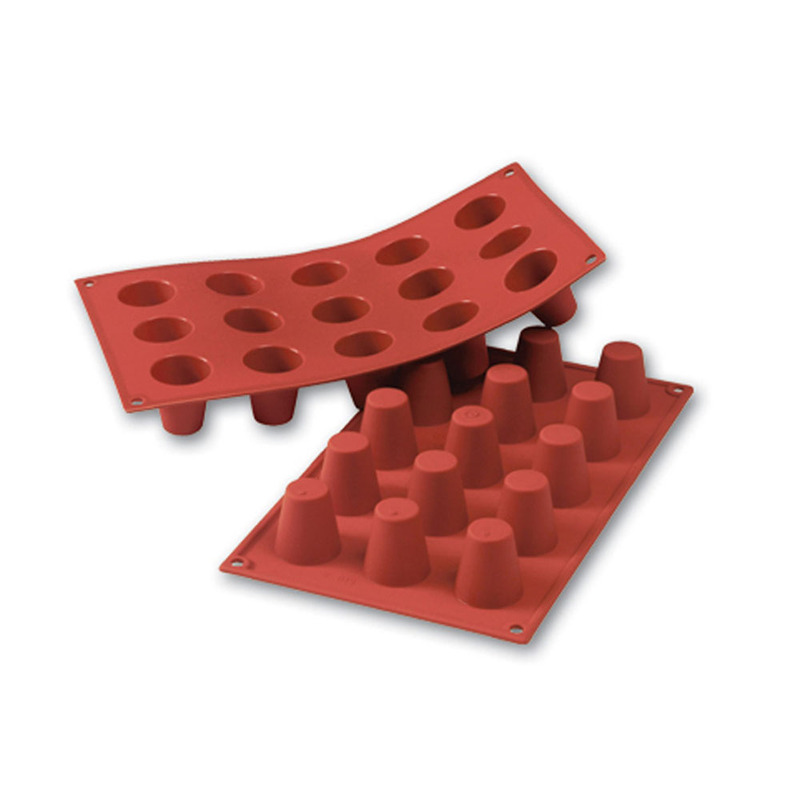 Flexible silicone baking molds feature easy release characteristics, coupled with incredible durability. Natural non-stick finish releases even the stickiest of foods with ease. This flexible silicone mold produces up to fifteen cakes at a time, each shaped like the traditional French Dariole, or Baba, cake. Temperature resistant silicone molds are safe up to 482 degrees; baking molds are safe for oven, freezer, and microwave use.